Mission Valley is a large neighborhood in the center of San Diego. It’s located right in the middle of the city, and runs east-west. Mission Valley has a ton of condos and apartment complexes. It has two huge malls–Fashion Valley and Mission Valley. Fashion Valley is very upscale, whereas Mission Valley is more of a discount mall. Mission Valley also has “Hotel Circle,” with lots of hotels and inns, making it a popular place for business and leisure travelers to stay. Fashion Valley mall is the hub for the San Diego trolley. In general, Mission Valley is a heavily populated, very busy part of town. There can be a lot of traffic in the area. It is ideally located because it is close to so many things. You can get to the beach, downtown, or UTC in 10 minutes. North Park is very close by. 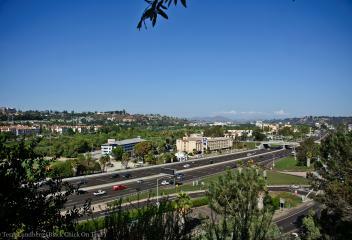 If you’re looking for a condo in the middle of San Diego, consider Mission Valley.